Abundant Life Resources (ALR) has improved efficiency and control across its retailing operation following its investment in a fully integrated multi-channel Accord® retail system. ALR is delighted to have a system which is so well suited to its needs and which it believes has the capability to deal with its future growth. 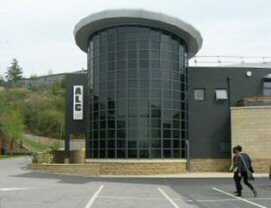 ALR is the resource arm of the Abundant Life Church, a flourishing 21st century church based in Bradford, Leeds and Belfast. The Church has more than 3,000 members and reaches a potential audience of 1 billion people through its TV programmes which are broadcast in over 200 countries. In addition to its regular services the organisation runs a dynamic programme of events and support programmes, including conferences and educational events to suit all ages and a very successful retail operation selling a wide range of books, teaching resources and music. The publications, albums and dvds are available both from a dedicated shop located at the resource centre in Bradford and worldwide through the website at www.alm.org.uk and other distribution channels. The investment in new technology was stimulated by the Church’s increasing popularity and the rapid growth in demand for its resources, creating the need for a new retail system that could cope with the expanded business. Nigel Shaw, ALR Resources Manager explains: We’d been using a bespoke IT system for a couple of years, but with the rapid growth of the church it just wasn’t able to meet our needs any longer. We needed a more advanced solution able to handle our growth and, in particular, to improve customer service, provide quick access to data, including sales through our website, and support future growth of the retail operation. Following a selection process which evaluated offerings from several leading systems providers, ALR chose BCP and invested in a complete Accord® EPoS and Back Office solution. Fundamental to securing the contract were BCP’s professional approach, ability to understand ALR’s unique business and the quality and breadth of the Accord® software solution. Nigel Shaw: BCP were and still are able to understand the particular needs of our operation and Accord® met all the requirements we had. The new system went live over the course of a few days, the modern Windows front end Accord® PoS being implemented initially on two touch screen tills and linking to a multi-user Back Office system for centralised control over store operations. It has given ALR all the benefits of modern retail software including product and price control, fast customer service and stock control. Of particular importance is the fast access to data and comprehensive sales reporting. Nigel Shaw: All the information we need is now readily available. Web orders have been integrated into the system to give us a complete picture of orders, which is invaluable for making decisions and planning. A detailed monthly consolidated sales report showing a breakdown by department on a daily basis wasn’t practical to produce before. Now it’s available at the touch of a button. ALR growth has continued unabated since the original Accord® implementation. The organisation now hosts satellite conferences and events in Leeds and Belfast and has more than doubled the size of its Bradford base, adding new offices, new conference facilities and a larger, dedicated retail outlet. New retail hardware has replaced the original tills and the Accord® solution has been successful migrated to this, handling an expanded range of ALR and partner branded products in the larger outlet. An array of future plans are under consideration including the possibility of mobile tills linking directly through to the main Accord® system in Bradford to handle sales at conferences in Leeds and Belfast. At the moment sales at these venues are handled manually and have to be reconciled afterwards. The latest development in progress on the new site at Bradford is The Coffee Room which proudly brews Starbucks coffee’. Plans are under consideration for sales here to be be handled through Accord® PoS with a back office system possibly linking through to a new head office system controlling both the retail store and The Coffee Room. Nigel Shaw concludes: Accord® has proved highly effective in helping us manage the operational aspects of the increasing worldwide demand for our resources. It has the technical capability we need to cater for the massive growth we are experiencing and the flexibility and potential to cater for all the future plans we have under consideration.